Mark also spoke about the progress that has been made over at Games at Google, outlining the building of apps in the browser and the greater developer flexibility. The loss of Mark comes at a rather inopportune time, as Google has been pushing gaming (especially in the social arena) rather hard lately, and the sudden absence of a Games Developer Advocate could put it on pause. Hopefully we see the position filled quickly with another qualified veteran of the gaming industry. 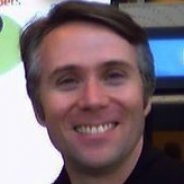 You can follow Mark over at his Gamasutra Expert Blog or on his personal blog.